The Nardò Ring is a striking visual feature from space, and astronauts have photographed it several times. The Ring is a race car test track; it is 12.5 kilometers long and steeply banked to reduce the amount of active steering needed by drivers. Although it is a perfect circle, it appears oval in this photograph. This distortion is because the astronaut’s viewing angle was 35 degrees, looking back along the orbit track to the southwest from the International Space Station’s window. 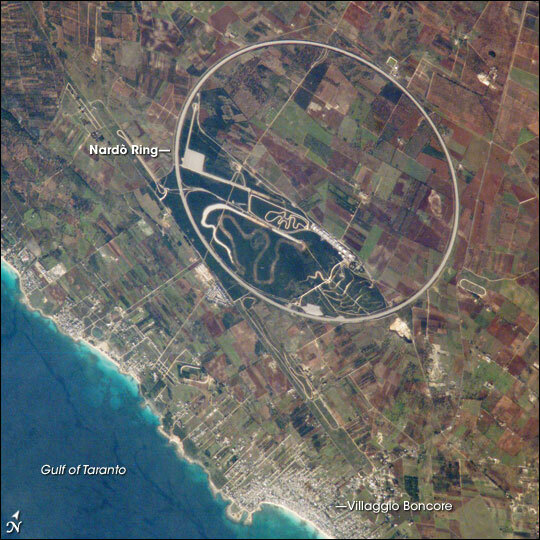 The Nardò Ring lies in a remote area on the heel of Italy’s “boot,” 50 kilometers east of the naval port of Taranto. 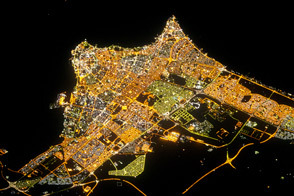 The small coastal town of Villaggio Boncore—visible as a light grey area of linear streets at the bottom center of the image—lies just to the south, but the Ring is named after the bigger urban center of Nardò, 22 kilometers to the southeast (not shown). The Ring encompasses a number of active (green) and fallow (brown to dark brown) agricultural fields. In this zone of intensive agriculture, farmers gain access to their fields through the Ring via a series of underpasses. 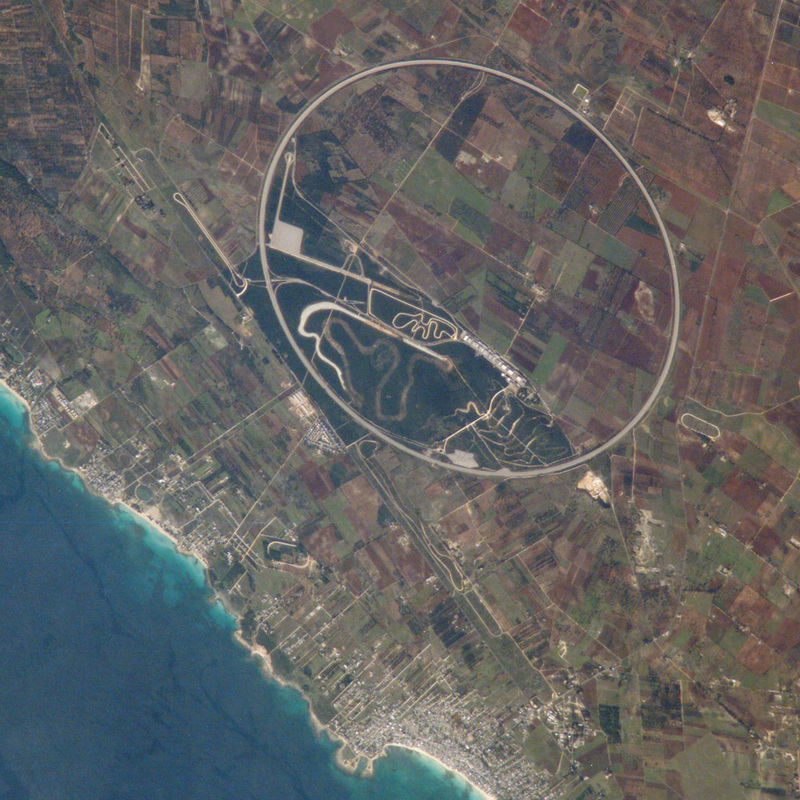 Winding features within the southern section of the Ring appear to be smaller, unused race tracks. 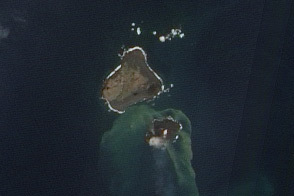 Astronaut photograph ISS014-E-7578 was acquired on November 8, 2006, with a Kodak 760C digital camera fitted with an 800 mm lens. The image was taken by the Expedition 14 crew, and it is provided by the ISS Crew Earth Observations Experiment and Image Science & Analysis Laboratory, Johnson Space Center. The image in this article has been cropped and enhanced to improve contrast. Lens artifacts have been removed. The International Space Station Program supports the laboratory to help astronauts take pictures of Earth that will be of the greatest value to scientists and the public, and to make those images freely available on the Internet. Additional images taken by astronauts and cosmonauts can be viewed at the NASA/JSC Gateway to Astronaut Photography of Earth.